Yisrael Beitenu chairman Avigdor Lieberman stated on Wednesday that he would reconsider joining Israeli Prime Minister Netanyahu's new government, if settlement construction resumed in occupied Jerusalem. 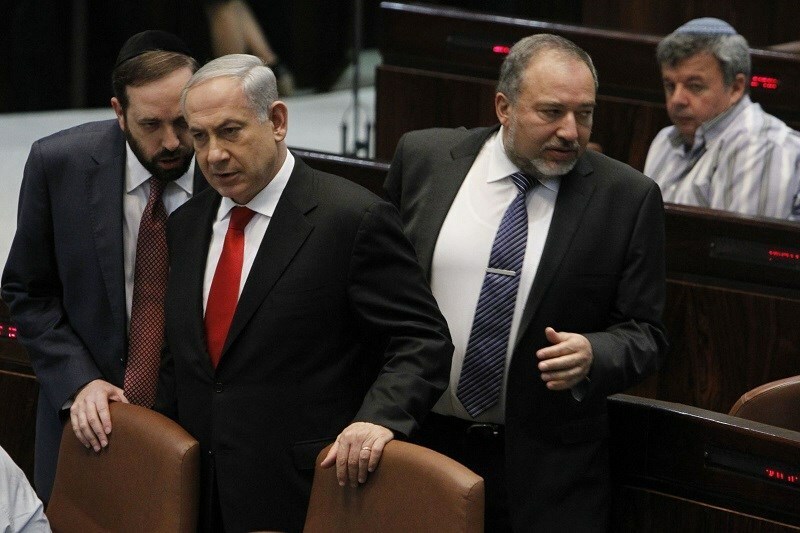 Lieberman stated that he was reconsidering joining the government if Netanyahu agreed to build one thousand new housing units in Ma'ale Adumim settlement to the east of occupied Jerusalem. Lieberman had earlier decided to remain outside Netanyahu's 4th government due to "his inability to destroy Hamas in Gaza and to expand settlement construction in occupied Jerusalem." The United States and the European Union have warned Netanyahu more than once of any attempt to expand Ma'ale Adumim settlement. The number of French Jews who have made, or are making aliyah to Israel between January and August 2015, is 25% higher than that same period. The number of immigrants from France rose from 4,000 in 2014 to 5,100 in same period in 2015. The numbers where submitted to Immigrant Absorption minister Ze'ev Elkin by the Heads of French Jewish organizations. In the wake of the January massacre at a kosher market in Paris, Prime Minister Benjamin Netanyahu called on Europe's Jews to make aliyah to Israel. The Immigrant Absorption Ministry estimates that by the end of 2015 the number of immigrants from France will reach 9,000, compared to 7,200 in 2014. In order to highlight the gravity of that number, the names were submitted to minister Elkin written on two long scrolls, prepared by Jewish Agency representatives in France. The representatives traditionally send the scrolls to the head of the Jewish community in France, and he in turn exhibits the scrolls at one of Paris's synagogues. The data was given to Minister Elkin in a meeting focusing on ways to expand the Aliyah of French Jews to Israel. "According to the indications we have, we are preparing for a big wave of olim from France this summer," Elkin said. "In order for their absorption to be smoother, we need to listen to the new immigrants. That's my belief. Even the most skilled and professional official doesn't know better than the Oleh what he needs. I say this having been a new immigrant, and having dealt with the issue for years," he said. The minister asked to convene a special meeting on the issue of Ulpans (Hebrew schools), with new proposals on streamlining the process. He claimed that the matter of learning Hebrew suffers from a lack in budgeting however assured that government has made special decisions on the issue. Israeli military authorities have promoted on Tuesday a soldier who attacked and severely beat Palestinian children in al-Khalil. A local human rights group affirmed that the Israeli soldier David Nahlawi was promoted after attacking a number of Palestinian children in Shuhada Street in the city of al-Khalil. Such racist acts would certainly encourage settlers' attacks and violations against Palestinians, the group said. In April 2014, a number of Palestinian children were subjected to a brutal attack and severe beating with rifle butts while on their way to their homes in al-Khalil. Israeli soldiers savagely attacked at that time journalists who were trying to cover the incident. Israeli media outlets continue to incite against Arab Member of the Knesset Hanin Zoabi against the backdrop of her participation in a pro-Palestine event that was held in the United States recently. 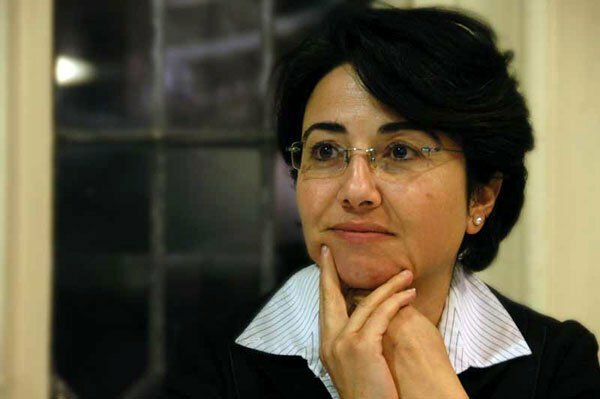 Israeli website Walla said yesterday that Zoabi had filed a request at the Knesset asking for approval for her to travel to the US funded by the Harvard College Palestinian Solidarity Committee and the Palestinian American Community Centre. The website noted that Zoabi's request included a number of events but failed to mention the "Israel, Racism and Apartheid" event that was held at Columbia University. The Knesset's legal counsel approved her trip after finding that there was no legal reason to reject it. Walla said that during the conference, Zoabi criticised the Israeli government's policies toward Arab Israelis, pointing out that she is prohibited from saying that she is "Palestinian" and obliged to identify herself as an Israeli even if she is deprived of her rights as an Israeli citizen. "This is a state conducted as a Zionist racist project, not as a state entity," Zoabi said at the conference. Last night, the Israeli Knesset extended the temporary "citizenship" law known as the prohibition of family reunification law for Palestinian families. This racist law prohibits Palestinian families from either side of the Green Line from reunification. It also prohibits Palestinians from inside the Green Line who are married to Palestinians from the West Bank or Gaza Strip from living inside Israel with their families unless the Palestinian husband is over 36 years old or if the Palestinian wife is over 26 years old. The law was extended for a year. Fifty-seven Knesset members voted in favour of the extension, while 20 voted against it and five abstained. It was supported by some members of the Zionist Camp. The law has been renewed annually based on the recommendations of the Israeli security institution. The Knesset committee decided to make changes to the mechanism for extending the law in the future. It also mandated a joint committee, consisting of a committee from the foreign ministry, security, and the interior ministry, to look into the law and approve it before referring it. 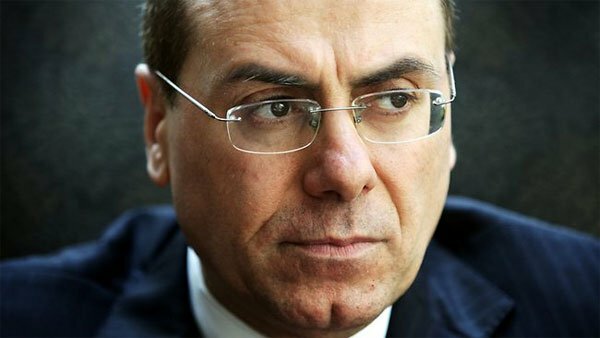 Minister of Interior, Silvan Shalom, said: "The consideration for security dangers is growing in light of the regional and international developments and in light of the increased operations that caused the death of Israelis." The Supreme Court rejected a number of complaints filed by human rights organisations to cancel this law which has deprived thousands of Palestinian families from legally living under one roof. The draft bill was proposed in Ariel Sharon's first government in 2002 in order to protect the "Jewishness of the state" and prevent Palestinian refugees from returning through the "backdoor". The law was later passed under the pretext of security, tearing the Palestinian social fabric and Judaising Jerusalem. 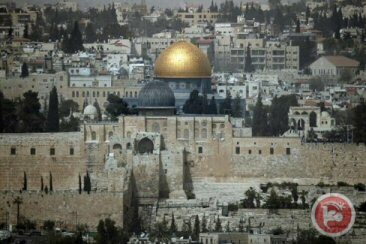 A recent Israeli report revealed that 14,200 Arab tourists visited Israel in the first five months of 2014, Quds Press reported on Monday. 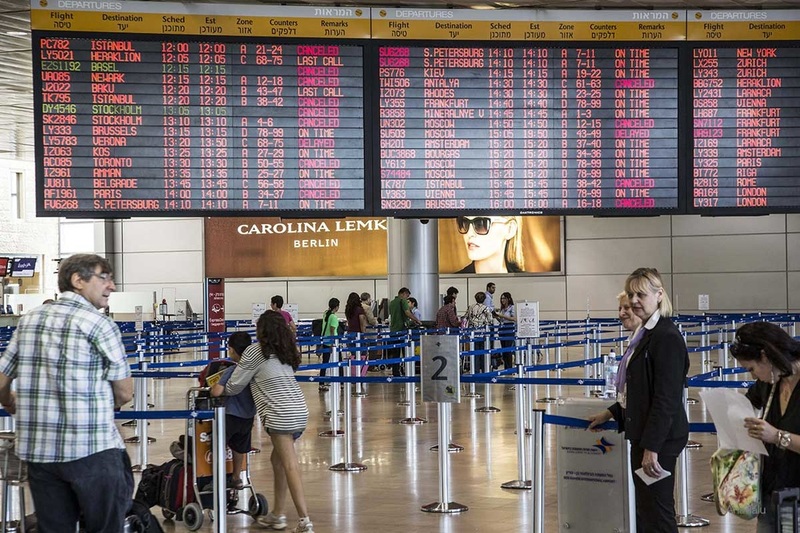 Israel's Central Statistics Bureau said in a statement that an estimated 7,500 tourists came from Jordan, 5,200 from Egypt and 1,500 from Morocco. This is out of an estimated total of 1.259m tourists, including 756.5m from Europe. The largest number of tourists who visited Israel came from the United States, followed by Russia, then France. Compared with the number of tourists who visited Israel in the same period of the previous year, the rate of tourism has declined by 9.7 percent. According the report, Israeli tourism is still suffering from the repercussions of the latest Israeli offensive on the Gaza Strip. The high number of tourists coming from Jordan is most likely due to the large number of Palestinian refugees in Jordan who have relatives living in Israel or the Occupied Palestinian Territories. In Morocco, thousands of Jews with Moroccan origins make regular trips to Israel. Stephane RIchard, who angered many with his remark on withdrawing from Israel, files complaint after personal details leaked online. Orange boss Stephane Richard has taken legal action after receiving death threats against himself and family members amid a row over withdrawing his brand from Israel, legal sources said Tuesday. Richard filed a complaint at a Paris court last week before heading to Israel in a bid to calm the controversy, a source close to the affair disclosed. "Stephane Richard received death threats on his telephone and his personal data were published on an Internet site in the context of the controversy over Orange's presence in Israel," the source said. Once these personal details were published, Richard received hundreds of calls, including death threats, added the source, who did not wish to be named. The French telecoms giant declined to comment on the issue. The row erupted after remarks by Richard during a news conference in Cairo on June 3 in which he said the firm was planning to withdraw its brand from Israel at the earliest possible opportunity. Orange licenses its name and logo for use by Israeli firm Partner Communications under an agreement due to run until 2025. 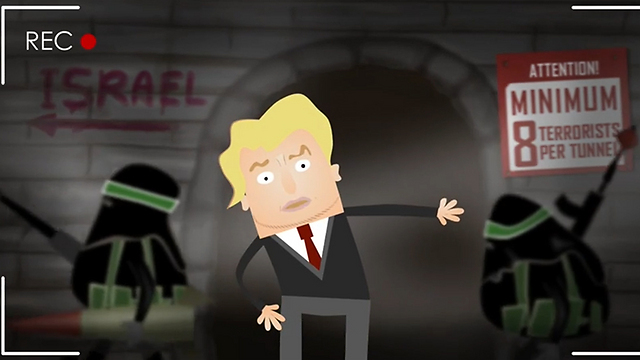 Israel reacted furiously to Richard's comments, accusing him of bowing to a Palestinian-led boycott campaign. His comments were interpreted in Israel as a response to a report by a group of NGOs which accused Orange of indirectly supporting settlement activity through its agreement with Partner. Even Prime Minister Benjamin Netanyahu became involved, calling on Paris to renounce "the miserable action of a company that is under its partial ownership". Richard flew to Israel last week in a bid to smooth ruffled feathers and told Netanyahu he "deeply" regretted the controversy and would never support any boycott of Israel. The European boycott campaign against the Israeli settlements' agricultural products caused Israel's economy a loss $6 billion in the years 2013 and 2014. According to the data of the Israeli Central Bureau of Statistics, obtained by the Israeli newspaper Haaretz, the losses resulting from the boycott will rise to $9.5 billion by the end of this year. The paper said that Israel is trying to compensate for these losses through increasing Israeli exports to the United States, as well as increasing US investments in Tel Aviv. A monthly report released by IDI and Tel Aviv University shows Israelis feeling more isolated and that peace is more distant. The Israel Democracy Institute (IDI) and Tel Aviv University have released the monthly Peace Index poll which has a primary focus on three major issues: attitudes toward Jewish settlement in the territories, the diplomatic arena, and the distribution of cabinet posts in the government. According to the report's findings, the Jewish public is aware of the deterioration that has occurred in Israel’s international status, which seems to stem from the intensification of voices calling to boycott Israel and its institutions. This sentiment represents the broader consensus in feeling that “the whole world is against us.” Similarly, a large majority (69 percent) of Israeli Jews characterize Israel’s relations with the countries of the world as not good, the study found. According to the survey, 79 percent of Israeli Jews said that they would not take part in a consumer boycott of the Jewish settlements in the West Bank, as opposed to 59 percent of Arabs, who said that if a consumer boycott of settlement products were to be organized, they would not buy such products. 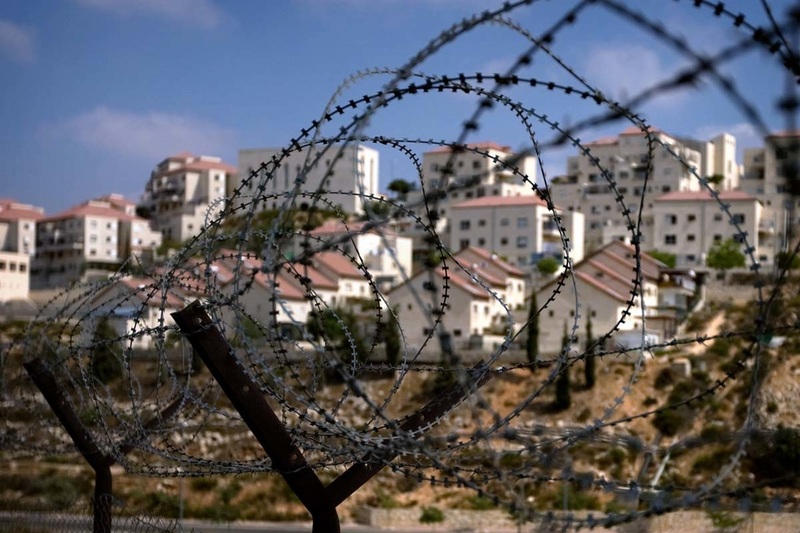 Meanwhile, the report states that 75 percent of Jewish respondents indicated a lack of desire to live in the settlements in the territories, even if they could receive improved housing at a low price. 48 percent of Jewish Israelis stated that they have not visited any homes in the West Bank during the last five years. When asked about the potential to reach an agreement under current circumstances, 53 percent of respondents indicated that they do not think Prime Minister Benjamin Netanyahu is prepared to consider an agreement that would entail giving up settlements that are outside the settlement blocs, despite the assertions he made when meeting with the foreign finister of the European Union that he supports negotiations about the borders of the settlement blocs. 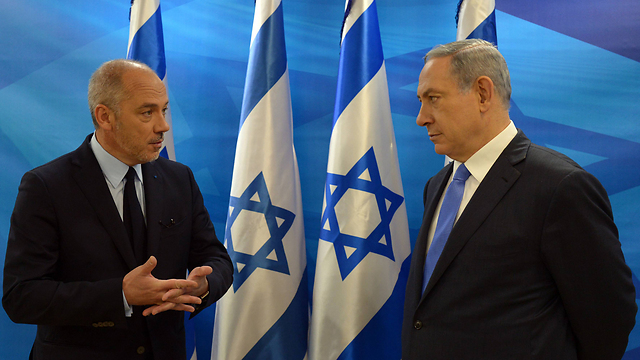 Regarding the distribution of responsibilities in Israel's Foreign Ministry, where Netanyahu kept the portfolio of foreign minister for himself but distributed some of the responsibilities of the job among many other ministers, 62 percent of the Jewish respondents believe the division will not improve Israel’s ability to manage its diplomatic affairs, according to the report. According to the survey over half of the Jewish public (52 percent) currently supports separating Jewish and Palestinian passengers on buses in the territories, in line with the experiment announced by Defense Minister Moshe Ya'alon, as opposed to 42 percent who oppose it. Another finding suggested disaffection with the government: 62 percent of the Jewish public is not satisfied with the distribution of cabinet posts in the new government. The top court was called to rule on the matter after lawmakers passed a law allowing the passports of Jerusalem-born US citizens to record their birthplace as "Jerusalem, Israel". Ma'an reports that, in 2002, despite opposition from then president George W. Bush, Congress passed a law obliging the US government to accept this designation upon request. But, after lengthy deliberations, the court decided that this law "infringes on the executive's consistent decision to withhold recognition with respect to Jerusalem." Israel regards Jerusalem -- which it has fully controlled since the 1967 Six Day War -- as its historic and undivided capital, while Palestinians view East Jerusalem as occupied territory and the capital of a future state. Washington and the broader international community have never recognized Jerusalem as Israel's capital and its final status is one of the thorniest issues in the Middle East peace process. In a decision that had been keenly anticipated since a hearing on the issue in November last year, the court upheld the White House's right to ignore Congress' attempt to force the issue. "The provision forces the president, through the secretary of state, to identify, upon request, citizens born in Jerusalem as being born in Israel when, as a matter of United States policy, neither Israel nor any other country is acknowledged as having sovereignty over Jerusalem," the court said in a ruling presented by Justice Anthony Kennedy. "Today's decision is a first: never before has this court accepted a president's direct defiance of an act of Congress in the field of foreign affairs," he argued. Bush signed Congress' 2002 bill into law, but accompanied his assent with a note objecting to the clause authorizing Jerusalem-born US citizens to request "Israel" be written in their passports. Reacting to the decision Monday, spokesman for the Palestinian presidency Nabil Abu Rudeina said the ruling was "in harmony with international legitimacy." Israel has no closer ally than the U.S., the Israeli occupation prime minister Benjamin Netanyahu claimed in a video address to Sunday’s Jerusalem Post Conference in New York, at the same time as he confessed that disagreements have always been there between the two sides. “Israel has no better friend in the world than the United States, and the United States has no better friend than Israel,” Netanyahu claimed. “I want to thank President Obama, the Congress and the American people for all they have done for Israel’s security. But even the closest of friends can respectfully disagree about issues of international security,” he said. “And of these, none is more important to Israel, to the stability of the Middle East and to the peace of the world, than the threat posed by Iran’s nuclear program,” ill-famed Netanyahu further stated. “Today, Iran is sponsoring worldwide terrorism in the Middle East, in Asia, in Africa, in Europe, in North and South America. Today, Iran is conducting an unprecedented conventional arms buildup: drones, rockets, satellites, submarines, precision-guided missiles and other lethal weapons,” he proceeded. Netanyahu expressed hope that it was not too late to achieve a better deal, one that could block the Islamic Republic’s path to the bomb and would tie the lifting of restrictions on Iran’s nuclear program to changes in Iranian behavior. Bennett continued to call for the expansion of Jewish presence in the area to 100,000 in the next five years. Some 20,000 Jews reside in the Golan Heights today. 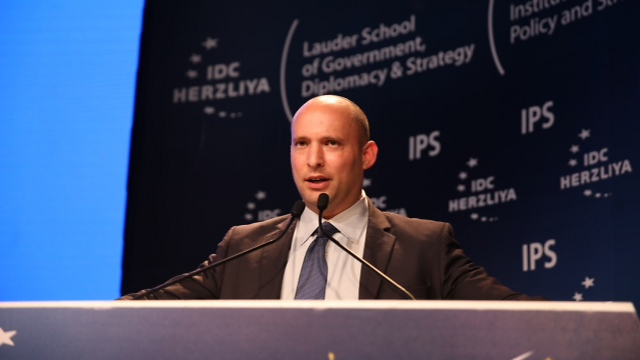 "In 1981 the Golan Heights law was passed, applying Israeli law in the area," said Bennett. "The world in that time shouted and sharply criticized Israel, and no country has recognized the Golan as part of the State of Israel up to this day, but that didn't stop Begin who understood that the Golan Heights is ours and that we can't give land to our enemies." The Bayit Yehudi leader then compared the Golan Heights to the West Bank where he said he "understood" the disagreements between Israel and the rest of the world. "I understand that we agree to disagree there. It's obvious to me that there is a disagreement there; the world is still trying to promote fantastical plans. But let's put that aside. Unfortunately, the world isn't implementing any plan for Judea and Samaria, but for the Golan? Prohibiting agricultural products from the Golan Heights? What's the logic? 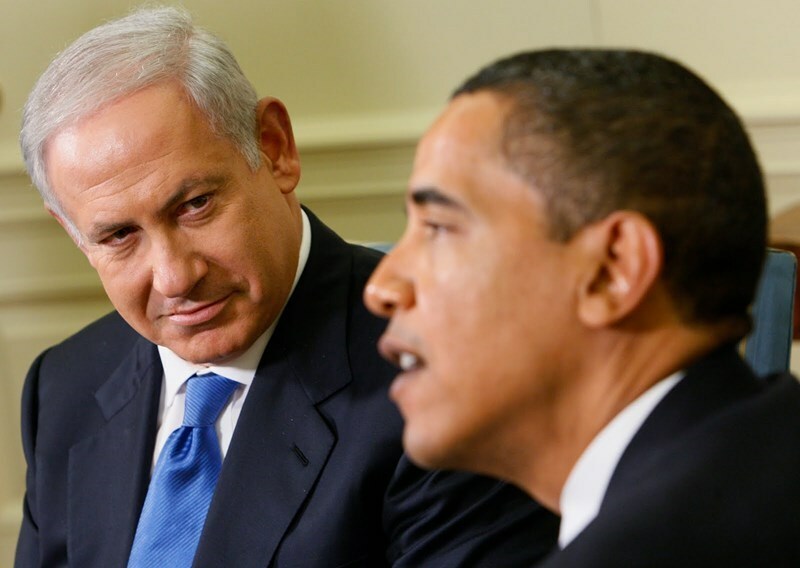 "Who do they want us to give the Golan to? To Assad? Today, it's clear that if we listened to the world we would give up the Golan and ISIS would be swimming in the Sea of Galilee. Enough with the hypocrisy." 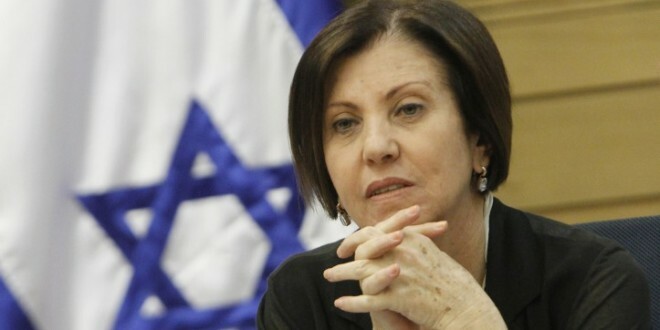 President of the leftist opposition Meretz party, MP Zahava Gal-on, is of the view that Israeli Prime Minister Benyamin Netanyahu will sacrifice Israel’s legitimacy in the world with his position on settlements and the occupation. Gal-on participated in a cultural symposium in Tel Aviv on Saturday and attributed the calls for an international boycott of Israel to its denial of Palestinian rights, calling for Netanyahu to stop burying his head in the sand and be satisfied with what he calls the conflict management with the Palestinians. She also said during that meeting that she supported a recognition of the Palestinian state before successful negotiations could begin, according to Al-Monitor. For his part, deputy Yakub Perry, of There is a Future central opposition party, believes that the cause of calls for an international boycott of Israel lies in ‘pure anti-Semitism’. However, he also critisized Netanyahu, saying that the government is completely paralyzed and does not achieve anything. Community leaders say government funds promised to them for education were not transferred; 'We should be fighting for the borders of the country, not for our rights,' says Druze mayor. The Druze and Circassian communities in Israel will go on strike Sunday and plan a mass protest rally in front of Kiryat HaMemshala (the government complex) in Jerusalem, saying government funds promised to them were not transferred. 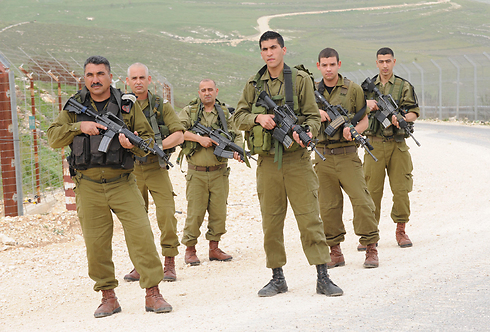 Druze community leaders even decided to cancel an annual appreciation day for the Druze soldiers, which would have otherwise been marked on Sunday. Organizers of the protest planned for Sunday expect several thousands to attend. The heads of the Druze community say that while the government approved in December a budget of NIS 2.5 billion for education in Druze and Circassian communities, only NIS 30 million were transferred by February, out of the initial sum of NIS 183 million that was supposed to be transferred. The head of the Yanuh-Jat council, brig.-gen. (res.) Maada Hasbani, said, "After 67 years of common destiny, we have to conduct a self examination. We should be fighting for the borders of the country, not for our rights." The Druze community is also worried with the fate of the Druze in Syria in the event the Assad regime collapses. Druze spiritual leader Sheikh Muafaq Tarif and former minister Salah Tarif met this week with US Ambassador to Israel Dan Shapiro to discuss the plight of the Druze people in Syria. There are some 800,000 members of the Druze community in Syria, and many of them have family members in Israel, they told Shapiro. "Daesh's brutality and lack of humanity keep me up at night," Hasbani said, using the Arabic-language acronym for the Islamic State group. "Israel must work in diplomatic channels to increase international involvement. We can't sit idle and look away." Israel's Ministry of Immigration has announced that the number of French Jewish immigrants to Israel fell by 15.1 per cent in the first four months of 2015 compared to the same period in 2014. 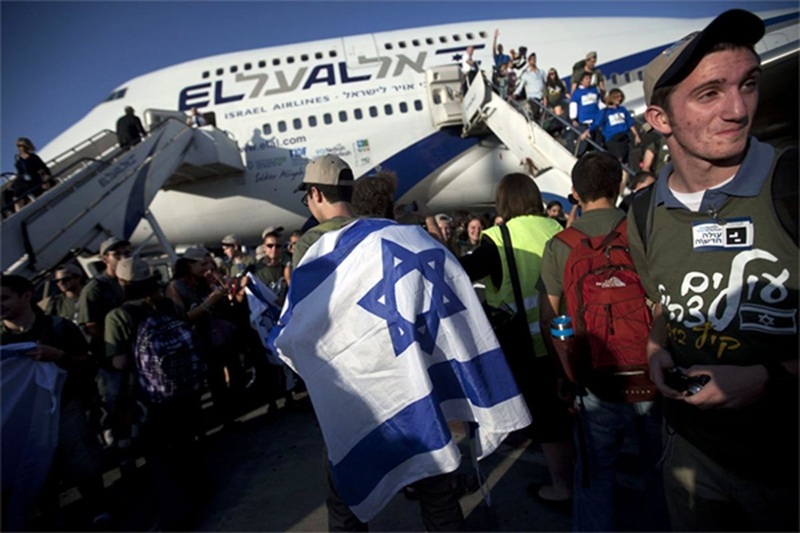 On Tuesday, the French newspaper Le Nouvel Observateur quoted a report by the Ministry of Immigration stating that during the first four months of 2015, 1,398 French Jews moved to Israel, compared to 1,647 in the same period of 2014. Commenting on the report, Ariel Kandel, head of the French office of the Jewish Agency for Israel, said: "This decline will be made up for in the summer period as it is expected that the percentage of French Jews immigrating to Israel will rise from 10 per cent to 20 per cent over 2015." The Jewish Agency for Israel is an NGO that deals with the affairs of Jewish immigrants to Israel. Kandel added that he expects Israel would receive between 8,000 to 8,500 French Jews in 2015. He explained that 2014 witnessed the largest migration of French Jews to Israel since 1948, with about 6,000 arriving in Israel. He said that the feeling of insecurity among France's Jews after the attacks on the French satirical newspaper Charlie Hebdo and the assault on the Jewish shop in Paris last January motivated people to move. There are an estimated 500,000-600,000 Jews living in France. It is considered the largest Jewish population in Europe and the third in the world after Israel and the United States.